No. Tax cuts provide no durable solution to any genuine economic problem for America’s working families, but do make some genuine problems even worse. 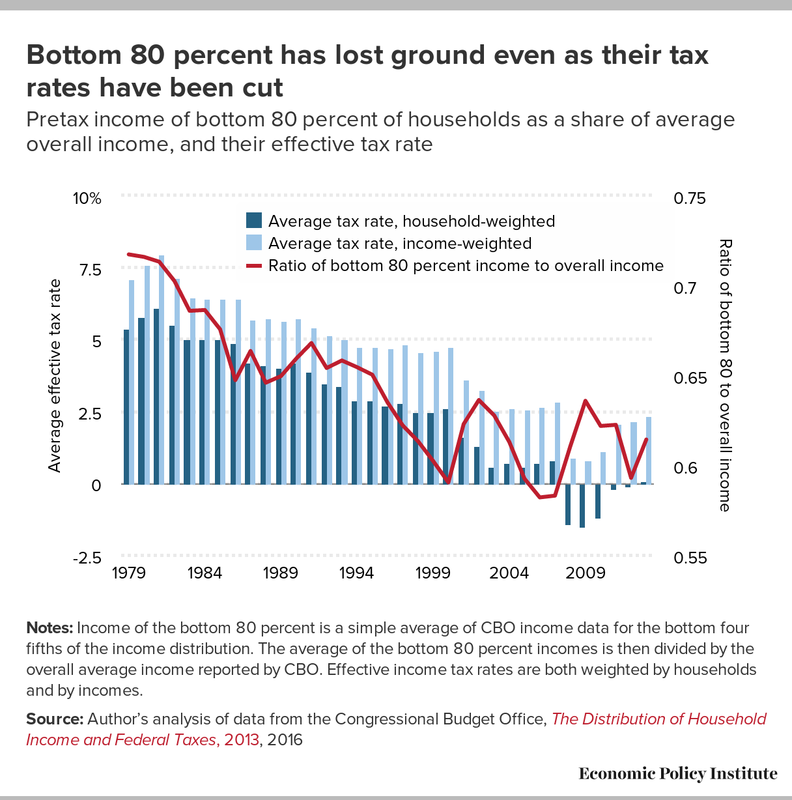 Most Republican plans, including the new “Big 6” framework released at the end of September, prioritize cutting top income tax rates and rates paid by corporations.1 These rate cuts would lead to huge benefits for the already-rich, but provide just crumbs to low- and middle-income families. 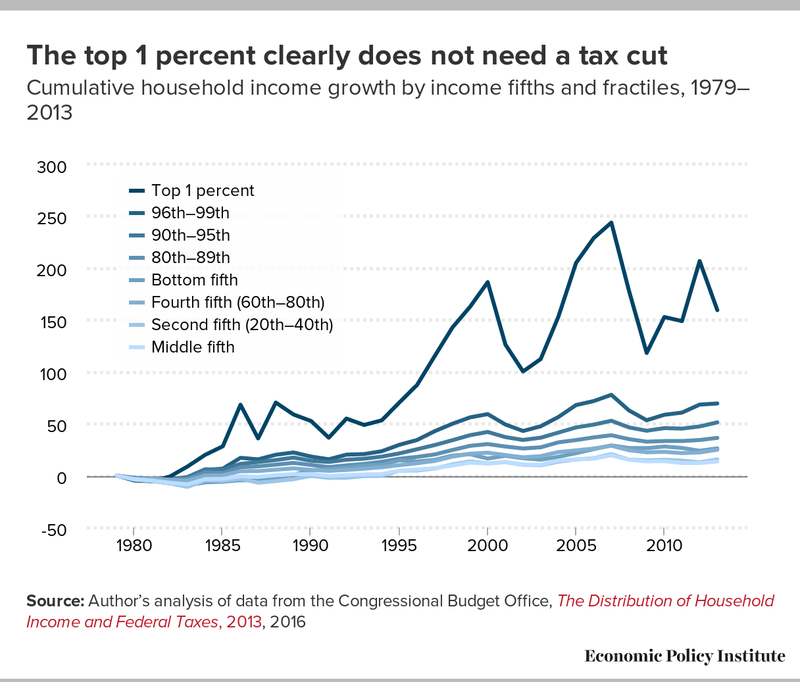 For example, the Tax Policy Center estimates that about 50 percent of all benefits from the Big 6 proposal would accrue to the top 1 percent.2 This top 1 percent has seen income growth of 160 percent since 1979, compared with growth of 13.6 percent for the middle 20 percent of families.3 In short, the top 1 percent doesn’t need a tax cut, yet this is exactly the group that Republican tax plans aim to help. Importantly, the problem for vast majority of American households has not been what taxes have taken out of their paychecks in recent decades, but what employers have not been putting into these paychecks. Finally, tax cuts will reduce federal revenues in coming years at a time when we will need greater revenues to honor existing federal commitments to provide health care for Americans. The federal government is the single largest payer of health care costs in the economy, and these health care costs have grown faster than overall economic growth for decades. The federal health programs—Medicare, Medicaid, and the Affordable Care Act—are efficient and do a better job at containing costs than private insurance.8 Cutting these programs would be inefficient and, worse, just shift health care costs onto American household budgets. In short, Medicare, Medicaid, and the ACA are valuable investments that we should finance, not starve of revenue. No. Corporate tax cuts are about the worst fiscal tool we have for boosting job growth. In an economy constrained by too-slow spending (or a lack of aggregate demand, in economists’ jargon), tax cuts can in theory boost demand by raising (post-tax) incomes and inducing households to spend more. But the bulk of corporate tax cuts would benefit the richest Americans, and these households are far less likely to spend an additional dollar for every dollar in tax cuts than low- or middle-income households. To put it simply, spending of rich households is not constrained by too-low incomes, so giving them more income does little to induce more spending. No. Companies are not investing in the things that could boost wages by making workers more productive (plants and equipment, technology, research) because of insufficient demand, not because they don’t have the profits to invest or because they face high interest rates. 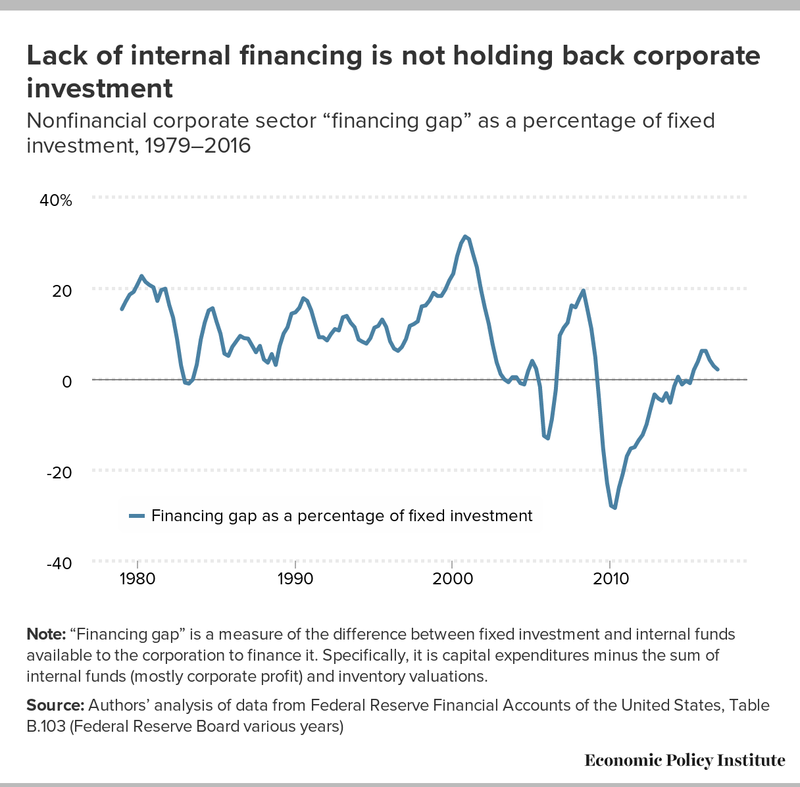 If the economy’s growth is not constrained by too-slow spending, then there is a theoretical case that corporate rate cuts could boost growth by encouraging investments that increase the economy’s productive capacity (“supply side” effects). However, today’s real-world data indicate strongly that this theoretical case will fail. The argument that corporate rate cuts would boost investment in plants and equipment depends on a long chain of influences. Here is how it would work theoretically. First, by boosting the post-tax return to owning capital like stocks and bonds, the rate cuts induce households to save more. Next, this increased supply of savings drives down economy-wide interest rates. This fall in interest rates then induces firms to borrow more to invest in plants and equipment. The new plant and equipment investments give workers better tools to do their jobs, boosting productivity and thus (as many assume) mechanically boosting wages. But nearly every link in this chain fails when faced with today’s real-world data. 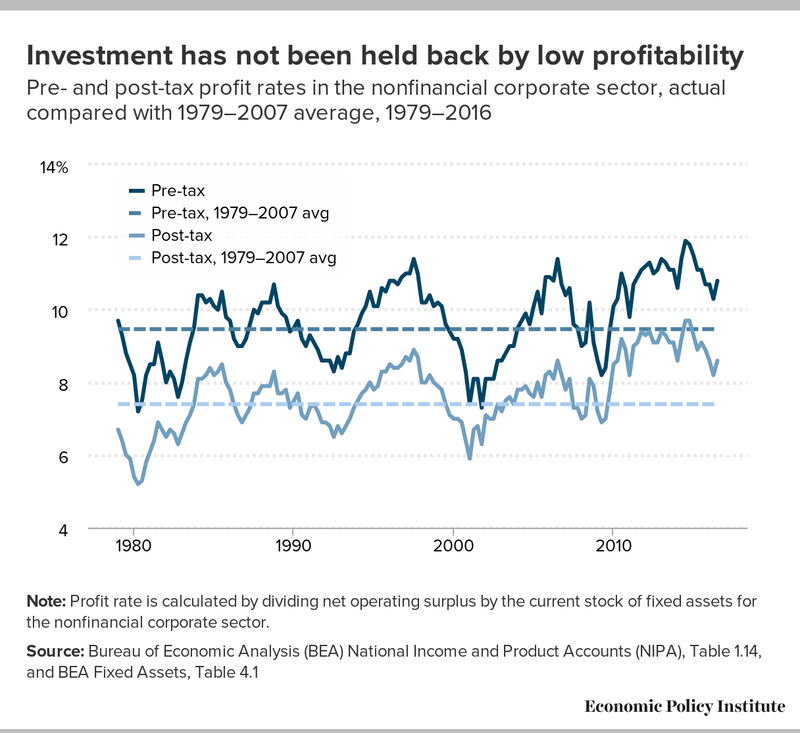 For one thing, post-tax corporate profit rates remain historically elevated, down just a bit from the historical peaks they hit in recent years.10 Yet these higher rates have not been associated with rapid investment in plants and equipment in recent years. For another thing, we don’t currently have a situation in which deficient savings is leading to high interest rates and thus depressing investment. Corporate savings are high11 and interest rates remain extremely low12 relative to historical data. The combination of low interest rates and low investment with high profit rates signals extraordinarily strongly that the constraint on investment is sluggish demand, not insufficient savings. This means that policy changes that reduce spending (consumption) to boost savings are actually likely to slow growth, not boost it. And there are even more fundamental problems with the logic of the “tax cuts will boost savings” link in the chain. While corporate rate cuts can boost household savings, they unambiguously reduce public savings by increasing the federal budget deficit. This makes their effect on total national savings (the relevant measure for influencing interest rates) a wash at best. So corporate rate cuts alone will not boost savings unless paired with spending cuts or other tax increases. Finally, even if insufficient savings were the problem and somehow corporate tax cuts did boost plant and equipment investment and boost productivity, this still doesn’t guarantee that wages for the vast majority of American workers would rise. Wages for the vast majority of U.S. workers stopped rising in tandem with productivity decades ago.13 Workers are more valuable but companies aren’t paying them more. The disconnect between productivity growth and wage growth is the result of a set of intentional policy decisions that have eroded the bargaining power of workers.14 Cutting corporate tax rates is not the solution that will reverse this trend. Yes and no. The boost to the deficit is a problem for proponents of the tax plan because it invalidates their claims about the benefits of tax cuts. While real-world evidence shows that deficits are not a pressing economic problem, deficits often create (largely misguided) political pressure to cut spending on valuable programs critical to America’s working families, such as Social Security, Medicare, Medicaid, and the Affordable Care Act. Given today’s real-world data, it is clear that federal budget deficits are not a pressing economic problem now and are not likely to be a problem in the short- or medium-term.16 The U.S. economy’s fiscal position is fundamentally solid. Long-term interest rates and inflation remain low. But if tax cuts for the rich feed the “deficit hysteria” that infects so much of Beltway policymaking, this would pose a problem. In today’s economy of slack demand, anything that convinces policymakers to cut spending on valuable programs will not only hurt the families who rely on those programs but drag on growth and prolong the years-long failure to return the economy to genuine full employment..
No. American corporations are clearly not heavily taxed relative to international norms. While the statutory U.S. corporate tax rate of 35 percent is on the high end internationally, corporations don’t actually pay anywhere near that rate on average. Using loopholes to avoid paying their full tax bills, corporations pay an effective tax rate of between 12.5 percent and 21.2 percent.17 One of the key loopholes is deferral—which allows U.S. firms to pay zero taxes on profits booked overseas (often through clever accounting practices) unless and until those profits are “repatriated” (returned) to owners in the United States. No. The “competitiveness” claim is just hand-waving to disguise the fact that corporate tax cuts do not boost wages or jobs for U.S. workers, and that the effective rates U.S. corporations pay are not out of line with our international peers. Key to understanding why this competitiveness argument is a pure dodge is the fact that the United States taxes firms on a worldwide basis, meaning that profits are taxed at the same rate whether they’re booked domestically or internationally. So, cutting corporate tax rates would just reduce the rates U.S. firms pay on profits here and abroad, which does nothing to encourage corporations to set up plants here in the United States. Not only that, the deferral loophole allows U.S. firms to avoid paying taxes on profits booked overseas until profits repatriate to the firms’ owners in the United States. Because the deferral loophole encourages corporations to keep accounting profits overseas, one obvious way to improve the “competitiveness” of the U.S. corporate tax code is to reduce the share of corporate profits appearing overseas by ending deferral and requiring that corporations pay their taxes when the income is earned—just like American families do. Finally, some purveyors of the “competitiveness” argument imply that U.S. corporations might do better in claiming global market share against foreign corporations if our corporate rates were cut. But this would only be true if corporate rate cuts somehow translated into lower prices for the output of American firms, and no serious economist thinks this would happen. All in all, claims that U.S. corporate rates should be cut in the name of boosting American competitiveness are economic snake oil. No. Tax loopholes allow some firms to use financial engineering to make profits look like they were earned overseas, but these firms are not generally moving actual factories and jobs overseas. The solution to this problem of international tax avoidance isn’t to give up on collecting taxes; it’s to close the loopholes. Current U.S. tax laws are already outrageously generous to tax-dodging multinational corporations. Under the deferral loophole, firms avoid paying taxes indefinitely by using accounting tricks to make profits appear to have been booked in subsidiaries overseas. Deferrals are encouraged by the prospect of ad hoc “tax holidays,” when the U.S. government gives companies that bring profits back to the U.S. in a given year a deep discount on their tax bill. For example, in 2004, legislation passed by Congress allowed companies to pay just 5.25 percent on repatriated profits, dramatically lower than the 35 percent statutory tax rate. But there hasn’t been a tax holiday on deferred overseas profits since 2004, and this has made some companies with huge offshore profits worried that they might actually have to pay the full taxes they owe on all the profits they’ve stashed overseas. Instead of waiting and risking a future Congress that changes tax law to actually collect the full amount of taxes owed on overseas profits, some of these companies are engaging in the do-it-yourself permanent tax break known as an “inversion.” In an inversion a U.S. multinational is “bought” by a foreign company that is small enough that the original corporation can still retain managerial control over the new company. The new, now ostensibly foreign company then uses accounting gimmicks to ensure that its U.S. tax bill is zero. But these firms generally do not move productive plants and equipment and jobs overseas; instead, they just move paper profits. To put it simply, U.S. manufacturing jobs are not moving to tax havens such as Ireland or the Cayman Islands, accounting profits are moving there and avoiding taxes, and that’s the key problem we should try to solve with corporate tax reform. Inversion is clearly nothing but a strategy to dodge taxes. In 2016, the Obama administration clamped down on one loophole that multinationals use to claim tax savings once they’ve inverted. Lo and behold, a planned inversion by Pfizer was immediately halted.20 There’s no point in pretending you’re being bought if you’re just going to have to pay your taxes anyway. No. Arguments over business tax reform often misleadingly imply that there is a “small business tax rate” that could be cut to help out small business owners. There is no small business tax code in the United States. Small businesses in the United States are not taxed at the business level, while corporations are. Instead, owners of small businesses pay taxes on the profits they make when they pay individual income taxes, as do owners of corporations (shareholders) when these corporations return business profits to them in the form of dividends or capital gains. This means that owners of small businesses are not disadvantaged relative to owners of corporations by the American tax code. Further, capping the rate applied to “pass-through” income (income returned to owners of businesses that are not taxable corporations) declared on individual tax returns at 25 percent—as the “Big 6 proposal” does—would only help those business owners who net more than $250,000 per year in business income after expenses. Such business owners constitute well under 3 percent of tax filers. In short, what is generally advertised as a cut to “small businesses” is just one more cut to the richest households, particularly those who hire good accountants to make their individual income appear to be pass-through income. To be clear, there are plenty of nontax policies that should be undertaken to help small businesses, particularly policies that would allow them to compete more effectively with corporations. Robust competition policy that restrains the power of monopolies would be a huge boon to small businesses. And small businesses would benefit greatly from macroeconomic policies (such as federal spending and continued low interest rates) that finally restored the economy to genuine full employment by boosting aggregate demand. In summary, small businesses don’t pay taxes at the business level, corporate rate cuts will not help them, and cuts to top individual tax rates or to rates on capital income earned by individuals is much more likely to benefit the owners of corporations than the owners of small businesses. Uncertainty is not what is holding back economic growth—a continuing shortfall of aggregate demand (spending by households, businesses, and governments) is. Blaming slow growth on uncertainty is a smokescreen. If members of Congress truly believed that “uncertainty” were stymieing growth, they could pass a resolution assuring corporations that absolutely no new tax cuts would be forthcoming. “Certainty” then is not what corporations are really looking for. What they’re really looking for are tax breaks. Genuine tax simplification would be a perfectly fine, if not very pressing, policy goal. But “simplification” is often a cover for reducing the progressivity of the income tax by reducing the number of tax brackets and compressing rates. Taxes are not complex because of progressivity or multiple rates. Taxes are complex because of the multiple deductions, exemptions, and credits taxpayers can claim. True simplification would mean radically reducing the number of deductions, exemptions, and credits, not reducing progressivity and compressing rates. (For taxpayers who make the bulk of their taxable income from wages or Social Security benefits and who take the standard deduction, income taxes are in fact simple.) But the plans Republicans have introduced are all about reducing progressivity and compressing rates and have next to nothing in them about reducing loopholes. Take one example: the “tax postcard” that House Speaker Paul Ryan likes to trot out at town hall events.21 The second line of his postcard instructs taxpayers to write down “1/2 your investment income.” But what does investment income include? Presumably there are separate and not-so-simple forms and worksheets for calculating this. And why is this line needed at all? Because under the Ryan plan, investment income is taxed at a preferential rate relative to earned income; in short, it preserves one of today’s largest loopholes while reducing progressivity. Yes. And we should particularly target the deferral loophole, which accounts for 47 percent of government revenue lost to corporate tax expenditures (exemptions, deductions, or credits that lower tax revenues). But too often tax plans advertise “closing loopholes” and “tax cuts” as inseparable components of the same package—responsible tax reform should be looking to raise revenue, not keep it constant. Closing corporate loopholes means, most importantly, closing the deferral loophole. But Republican tax plans would make this loophole permanent, by moving the corporate tax code to a “territorial” system that permanently moves the tax rate on foreign-booked profits to zero. Tax plans that do propose ending loopholes often pair this with cuts to the statutory rate—as if to say to corporations, “don’t worry that we’re increasing your taxable income; we’ll offset that by taxing it all at a lower rate.” But closing loopholes is a good idea in and of itself precisely because it broadens the tax base and makes higher rates even more effective in raising revenue. The goal should not be to neutralize the impact on corporations; it should be to restore lost tax revenues. Indeed, loophole-closing would ideally be complemented by raised rates, not counterbalanced by lowered rates. No. Such language implies that corporations are the victims in this situation. They are not. By actively using clever if largely dishonest accounting to make profits appear to have been booked overseas, corporations are taking advantage of loopholes to evade their tax responsibilities at the expense of the American people. And, in fact, they are still able to make use of these overseas profits through financial engineering—borrowing at low rates using their offshore profits as implicit collateral. Corporate profits are sitting overseas because corporations are hoping for another tax holiday, like the one they were given by Congress in 2004. During the 2004 tax holiday, multinational corporations were able to pay a tax rate of 5.25 percent on repatriated profits, instead of the 35 percent rate they were supposed to pay. Let’s end with an analogy. Every dollar your employer pays you triggers a tax liability for them (the employer-side of the FICA taxes that fund Social Security and Medicare). Imagine one day your employer came to you and said that they’d love to pay you your salary, but, sadly, the money is “trapped” because if they did pay, they’d then owe taxes. Would you find this a compelling argument? Or would you tell them to shut up and pay their taxes? No. We know that multinational corporations have already engineered ways to access these profits, by borrowing money using the offshore profits as implicit collateral. And we can see in real time what they’re doing with the money—boosting shareholder returns, not investing in the economy. Finally, we know that savings are plentiful and interest rates are historically low. This means that corporations are already well positioned to invest in productivity-enhancing capital that could boost wages. The benefits of on-shoring a lot more corporate savings through a tax holiday would not solve the main problems the economy currently has; instead it would simply lock in a tax cut for corporations. Almost certainly yes. While there’s no actual economic reason why expanded deficits should force changes to public spending in the near term, we know that any increase in deficits causes misguided “deficit hawks” (often from both parties) to consider making cuts to valuable public programs. And in the long term, healthy tax revenues are essential to maintaining these vital programs. While the pressure to cut spending on these programs in the near term stems almost entirely from politics, not from economic reality, 26 the threat that political pressure will prevail is very real. Historically, increased deficits have been leveraged politically to push the idea that spending must be significantly restrained, and sooner rather than later. Large tax cuts would boost present and projected deficits, and this would surely prompt “deficit hawks” to once again claim we must cut spending on Social Security, Medicare, Medicaid, and the ACA in order to avert a debt crisis. Indeed, such cuts are already being pursued—Republican budgets proposed this year would impose significant cuts to these vital public programs; an increase in the deficit caused by tax cuts would lead to additional pressure for spending cuts. In the long term—if the economy returns to full employment for a long stretch (making deficit financing costly rather than the free lunch it is during times of economic slack),27—then we will need more revenue, not less, to meet current federal spending commitments, particularly for health care spending. Federal health care spending is a good value, as the federal government has proven itself more efficient at constraining health care costs than the private sector. 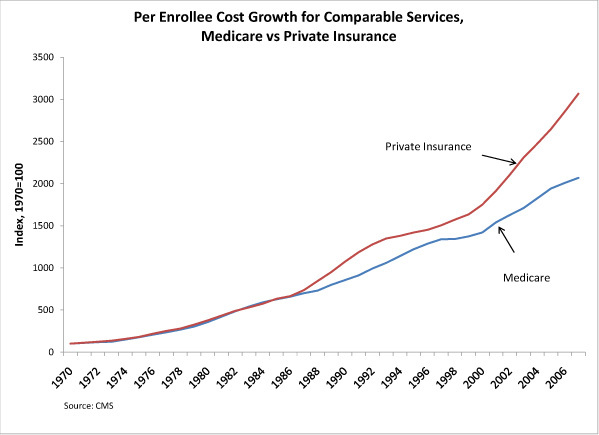 If private health care growth had mirrored the growth of Medicare, a health care plan that today costs American household’s $15,000 would instead cost $10,000. Because this federal spending is a good value, while of course we should make it as efficient as possible, we should also ensure that we raise enough revenue to continue this spending; plans to slash taxes are inconsistent with this. Yes, we could invest $2.5 to $5.5 trillion to boost the economic security of low- and middle-income Americans. As we await a final official “score,” preliminary analyses estimate that the revenue lost due to the Big 6 plan would run from over $2 trillion to over $5 trillion in a 10-year span.28 Given that many members of Congress and the White House seem to think they have found an extra $200–$500 billion in annual resources available to distribute to American households, are there better uses for these resources if the goal is to provide genuine economic security to America’s working families? The list of better uses for these resources is almost endless. We’ll note just three examples. First, make health care more affordable for American families. Essentially the only valid complaint leveled against the Affordable Care Act (ACA) in recent years is that it can still leave some families with costly premiums and copays that burden them. While families faced significantly higher burdens before the ACA, the subsidies given to families purchasing insurance in the ACA marketplace “exchanges” could definitely be more generous. In 2017 these subsidies totaled $45 billion.29 Doubling these subsidies would only require claiming less than a quarter of the low-end cost of the Big 6 tax plan. Second, finally make the infrastructure investments that have been discussed for years. Recent proposals for infrastructure investments have called for a $1 trillion to $2 trillion commitment over 10 years.30 Spending $150 billion on infrastructure and doubling ACA subsidies would still not even hit the low-end estimates for what the Big 6 proposals would cost. Third, invest in our children. Estimates of the cost of providing high-quality prekindergarten education for every 3- and 4-year-old in America—an investment that would yield enormous returns—hover around $40 billion annually.31 Doubling ACA subsidies, providing high-quality prekindergarten to all 3- and 4-year-olds, and undertaking an ambitious infrastructure proposal would add up to less than half the high-end estimates of the cost of the Big 6 proposal. Yes, the resources that would be disproportionately given to the top 1 percent under the Big 6 proposal could absolutely be much better spent buying much more security for low- and middle-income Americans. 1. The “Unified Framework for Fixing Our Broken Code,” released by the White House and congressional Republicans Wednesday, September 27, is available on the Washington Post website. For analyses of this and past plans, see Josh Bivens and Hunter Blair, “A Leopard Can’t Change Its Spots,” Working Economics (Economic Policy Institute blog), September 27, 2017; James R. Nunns, Leonard E. Burman, Jeffrey Rohaly, Joseph Rosenberg, and Benjamin R. Page, An Analysis of the House GOP Plan, Tax Policy Center, September 16, 2016; James R. Nunns, Leonard E. Burman, Jeffrey Rohaly, and Joseph Rosenberg, An Analysis of Donald Trump’s Revised Plan, Tax Policy Center, October 18, 2016. 2. Tax Policy Center, A Preliminary Analysis of the Unified Framework, September 29, 2017. 3. Josh Bivens, Principles for the Upcoming Tax Reform Debate: Reject Tax Cuts for the Rich and Fear-mongering about Deficits, Economic Policy Institute, April 20, 2017. 4. Josh Bivens, Principles for the Upcoming Tax Reform Debate: Reject Tax Cuts for the Rich and Fear-mongering about Deficits, Economic Policy Institute, April 20, 2017. 5. For descriptions of the policy measures that have suppressed wages for the vast majority, see Josh Bivens, Elise Gould, Lawrence Mishel, and Heidi Shierholz, Raising America’s Pay: Why It’s Our Central Economic Policy Challenge, June 4, 2014; and Lawrence Mishel and Ross Eisenbrey, How to Raise Wages: Policies That Work and Policies That Don’t, Economic Policy Institute, March 19, 2015. 6. For a description of how cutting top tax rates can provide incentive for powerful economic actors to rig the rules to claim more income growth, see Andrew Fieldhouse, Rising Income Inequality and the Role of Shifting Market-Income Distribution, Tax Burdens, and Tax Rates, Economic Policy Institute, June 14, 2013. 7. Economic Policy Institute, The Agenda to Raise America’s Pay, last updated December 6, 2016. 8. Josh Bivens, Seeing the Big Picture on Health Reform and Cost Containment, Economic Policy Institute, July 27, 2009. 9. Josh Bivens and Hunter Blair, ‘Competitive’ Distractions: Cutting Corporate Tax Rates Will Not Create Jobs or Boost Incomes for the Vast Majority of American Families, Economic Policy institute, May 9, 2017. 13. “The Productivity-Pay Gap,” Economic Policy Institute, updated August 2016. 16. Josh Bivens, Principles for the Upcoming Tax Reform Debate, Figure D, Economic Policy Institute, April 20, 2017. 17. Hunter Blair, Frank Clemente, and Nick Trokel. Corporate Tax Chartbook: How Corporations Rig the Rules to Dodge the Taxes They Owe, Economic Policy Institute and Americans for Tax Fairness, September 19, 2016. 18. Organization for Economic Cooperation and Development (OECD), “Taxes on Income, Profits and Capital Gains of Corporates,” OECDStats website, accessed September 2017. 21. Roberton C. Williams, “Ryan’s Deceptively Simple Promise of Postcard Tax Filing,” TaxVox (Tax Policy Center blog), June 27, 2016. 22. See Josh Bivens and Hunter Blair, ‘Competitive Distractions’: Cutting Corporate Tax Rates Will Not Create Jobs or Boost Incomes for the Vast Majority of American Families, Economic Policy Institute, May 9, 2017; Seth Hanlon, “Offshore Tax Deferral,” Center for American Progress, March 16, 2011. 23. Institute on Taxation and Economic Policy (ITEP), Fortune 500 Companies Hold a Record $2.6 Trillion Offshore, March 2017. 24. Institute on Taxation and Economic Policy (ITEP), Fortune 500 Companies Hold a Record $2.6 Trillion Offshore, March 2017. 25. Chuck Marr and Cye-Ching Huang, Repatriation Tax Holiday Would Lose Revenue and Is a Proven Policy Failure, Center on Budget and Policy Priorities, June 20, 2014. 26. There is no evidence, for example, that deficits are causing damaging interest rate increases, crowding out private investment, or doing any other economic damage. See Josh Bivens, Principles for the Upcoming Tax Reform Debate: Reject Tax Cuts for the Rich and Fear-mongering about Deficits, Economic Policy Institute, April 20, 2017. 27. 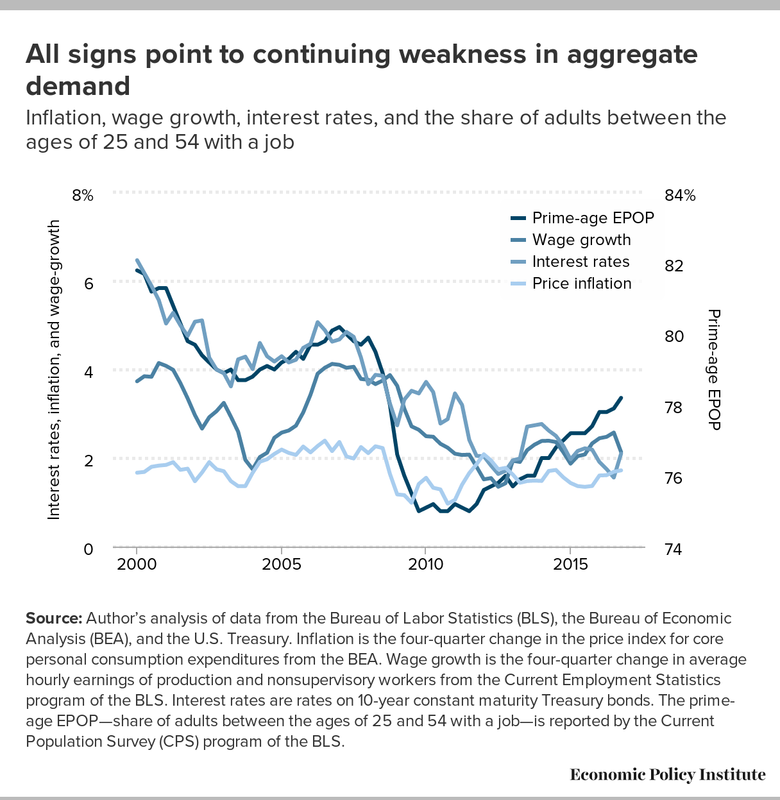 Deficit spending during times of full employment can push up interest rates, potentially crowding out private investment. If these deficits finance public investment, however, there is no necessary macroeconomic cost to them. But if transfers are expanded, then these are best financed by revenue, not debt, when the economy is at full employment. 28. Committee for a Responsible Federal Budget, “Big 6 Tax Framework Could Cost $2.2 Trillion,” The Bottom Line (blog), September 27, 2017; Americans for Tax Fairness, Updated Analysis: Trump’s Unpaid-for Tax Cuts May Total $5 Trillion in New Tax Plan [press release], September 27, 2017. 29. Congressional Budget Office (CBO), Federal Subsidies for Health Insurance Coverage for People under Age 65: 2017 to 2027, September 2017. 30. Chuck Schumer, “A Better Deal for American Workers,” New York Times, July 24, 2017; Congressional Progressive Caucus, “Congressional Progressive Caucus and Allies Unveil Principles for Infrastructure and Bold Proposal to Create Millions of Jobs“[press release], May 25, 2017. 31. Robert Lynch and Kavya Vaghul, The Benefits and Costs of Investing in Early Childhood Education: The Fiscal, Economic, and Societal Gains of a Universal Prekindergarten Program in the United States, 2016-2050, Washington Center for Equitable Growth, December 2, 2015.